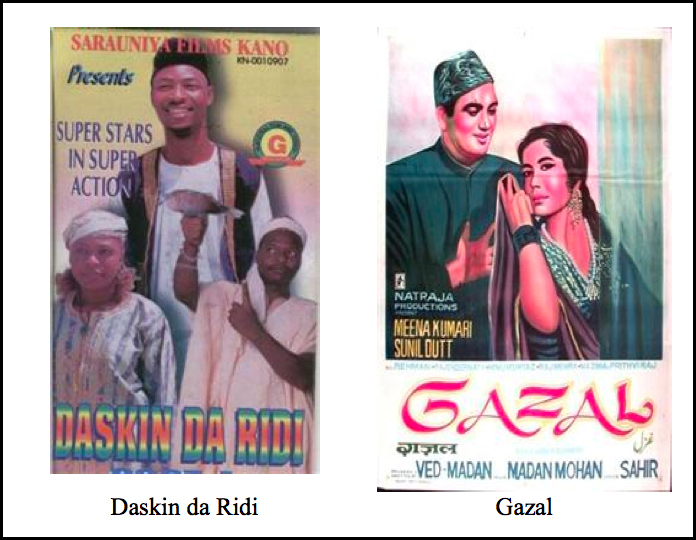 Today, the Hausa film production is a huge industry centered in the Hausa capital of Kano. Boasting some 300 studios, the musical numbers are integral to the films success. The film music is called “Nanaye” — itself a reference to the refrain of playground songs sung by pre-adolescencent girls. The term confers a childish and feminine focus in an otherwise male dominated entertainment industry. If it was a derogatory label, it has since been reclaimed by the producers and performers of the genre. The film music is immediately recognizable by a consistent library of synth sounds and programmed drum rhythms, as well as the prodigious use of vocal autotune — intended as a pitch correction, but evolved into a trademark sound. Previous Postfolders from saharan laptops! blaze! beautiful stuff, as always. Thanks for the collection. 🙂 Any traditional or non-kannywood Hausa songs in your collection you’d be willing to share? Hausa music prior to this used to be so varied, and like Malian music today had a distinctive sahelian sound. There seems to be less tinde tracks from Agadez, simpah songs from Ghana, Abdou Salam or Saadou Bori tracks from Niger, or classic Dankwairo or Shata available nowadays than kannywood soundtracks.. Help us recover the past before its gone forever!